Another hot and busy and long weekend for the Henley Rowing Club Juniors, racing starting on Friday 29th June 2018 with the Henley Royal Regatta Qualifiers, Saturday 30th June Reading Town Regatta and Sunday Egham Regatta on the 1st July. 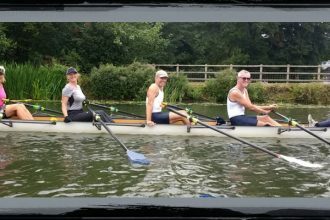 In the Henley qualifiers the club had five crews hoping to make it through, three girls crews in the Diamond Jubilee and two boys in the Fawley. In the Fawley 64 crews entered the event 15 were preselected leaving 49 crews to battle though the qualifiers for the last 9 places. The J16 Henley quad of James Swinburn, Seth O’Connor, Ed Roy and Euan Turnell put in a good performance to qualify and was the first Henley crew to race at the regatta having drawn The American School in London on Wednesday 4th July. An older J18 crew had pre-qualified for Fawley. Maddy Pollard, Daisy Butterworth, Grace Johnson and Phoebe Fletcher took one of the 8 qualifying places in the Diamond Jubilee to join the A crew of Lottie Orr, Sophia Hahn, Georgie Robinson Ranger and Issy Jonsson who were one of the selected crews in the event. 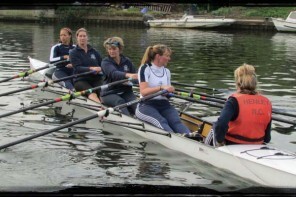 Saturday saw the J15 girls competing at Reading Town Regatta. This squad has been so successful this season that the regatta organisers would not let them compete at J15 and bumped them up to race Junior. In the Junior eights Holly Nave, Ava, Poppy Wilson, Annabelle Hoogenberg, Riley Butcher, Gina Segrt, Holly Thompson, Emilia Fulford Dobson cox Daisy Rolstone had a bye to the final where they raced Green Lake from the USA winners of Henley Women’s Regatta and Great Marlow School. The girls raced well beating GMS but could not hold Green Lake. 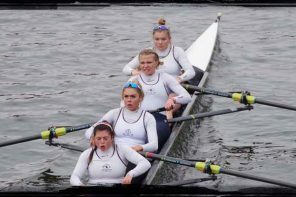 The three same crews also contested the final of Junior fours – Poppy, Gina, Holly Thompson, Emilia, and cox Ava raced well and on this occasion beat Green Lake but could not quite hold GMS who won by half a length. In the Coxed Quad event Darcey Smith, Izzy Cotten Georgie Pollard, Holly Cookson, cox Daisy Rolstone had a comfortable victory in the final over Fairlop RC.